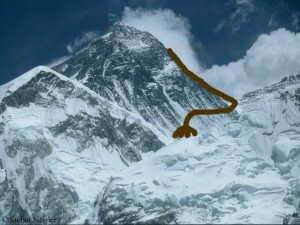 If a mountain could breathe a sight of relief, Mount Everest would probably do it now. A total of more than 1,000 climbers on both sides of the highest mountain on earth have left the base camps and have returned home. 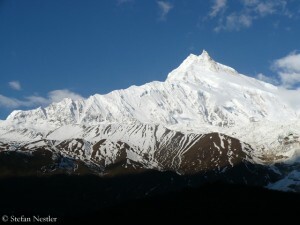 There is silence again on Chomolungma, as the Sherpas call the mountain. Time to take stock. The exact figures are not yet available, but this spring some 600 summit successes have been recorded, increasing the number since the first ascent in 1953 to more than 8000. 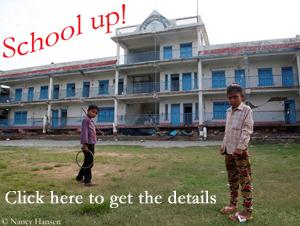 It’s show time in the Himalayas. After all climbers should have completed their acclimatization on the eight-thousanders, the first summit successes have been reported. Yesterday Romanian Horia Colibasanu and Slovak Peter Hamor reached the 8163-meter-high summit of Manaslu via the normal route on the northeast side – without bottled oxygen and Sherpa support. Actually this ascent was only for acclimatization. The two plan to climb the mountain a second time, on a new “long and difficult route” (Colibasanu) on the north side of the mountain. This year’s jury of the Piolet’s d’Or has given the “Oscar of mountaineering” to two teams. The jury lead by the former US top climber George Lowe awarded “two very different ascents to represent the spirit of modern mountaineering”, as the members said. The Golden Ice Axes go to the Canadians Raphael Slawinski and Ian Welsted for their first ascent of the 7040-meter-high K 6 West in Karakoram on a new route via the Northwest Face and to the Swiss climber Ueli Steck for his solo ascent via the South Face of the eight-thousander Annapurna in Nepal. 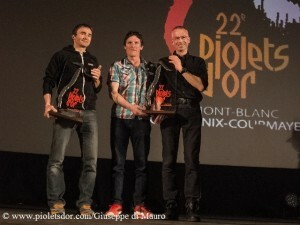 The awards were given to the climbers during a gala in Courmayeur in Italy at the foot of Mont Blanc on Saturday evening. 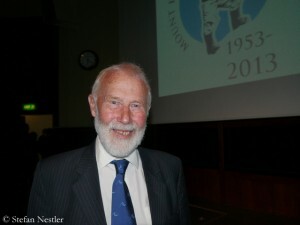 When Everest was climbed first in 1953 Chris Bonington was a young English mountaineer of 17 years. Later he did historic climbs like the first ascents of Annapurna II in 1960, of the Central Pillar of Freney on the south side of Mont Blanc in 1961 and of the 7285-meter-high Ogre in the Karakoram together with Doug Scott in 1977 (the second ascent followed only in 2001). But Bonington also proved to be a great expedition leader. 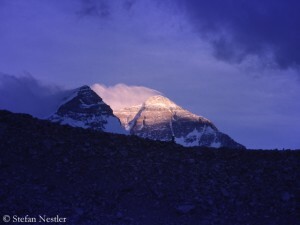 In 1970 he led the successful expedition to the South Face of Annapurna, in 1975 the expedition to Mount Everest, during which Doug Scott and Dougal Haston climbed the Southwest Face first. Bonington himself reached the summit of Everest in 1985 as a member of a Norwegian expedition. He was knighted by the Queen in 1996 for his services to the sport. I met the 78-year-old climber last week at the diamond jubilee celebration of the first ascent of Mount Everest in the Royal Geographical Society in London and asked him – of course – about his thoughts on Everest. 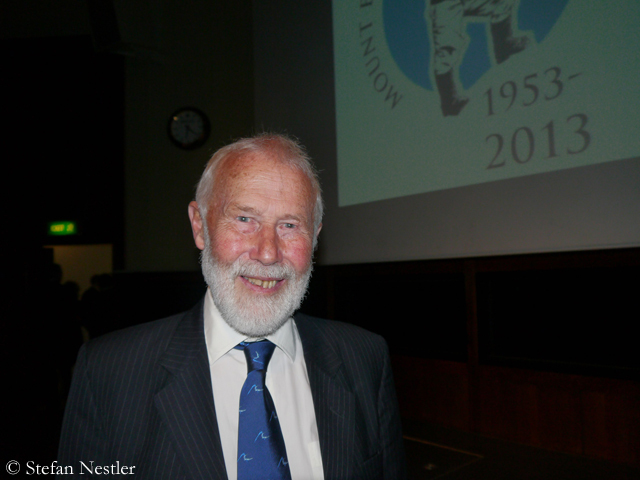 Sir Chris Bonington, 60 years after the first ascent of Mount Everest, how do you feel about these pioneers? I’m a great believer in the heritage of our sport, looking back, enjoying and learning from what our predecessors have done. In a way that first ascent of the highest point on earth is one of the very, very great occasions. I think it’s story. How they succeeded and worked together, it was a superb team effort. It’s something very special. Take it easy!I haven’t woken you up from your hibernation, have I? Look at your calendar! Pre-season. I’m still on vacation.